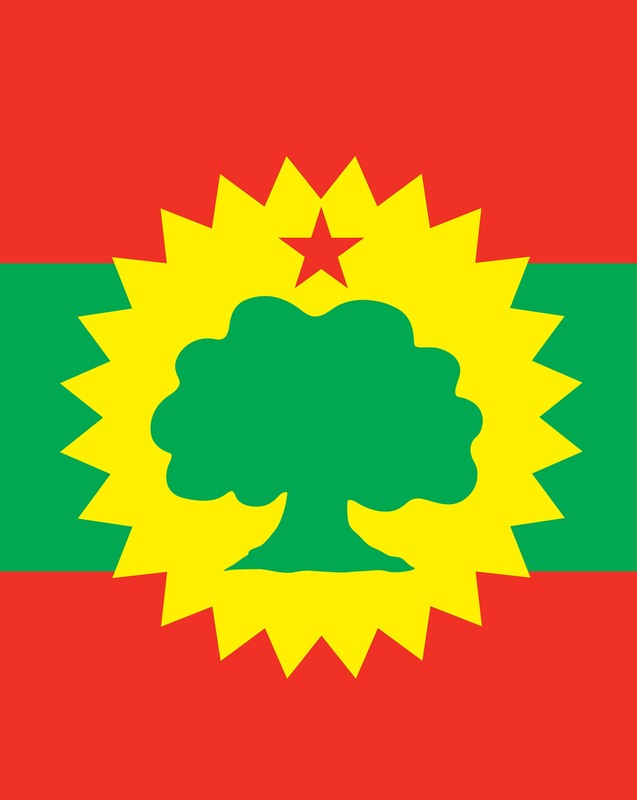 This flag honors those who have fought to protect the Oromo land, Oromia, the nation, Oromo and the identity, Oromummaa. It is also a reminder of the sacrifice of Oromo nation’s founders and heroes. As the ultimate icon of Oromia’s storied history, the Red, Green, Odaa, and Star represent the very best of the Oromo nation: Oromo Peace, Oromo freedom and Oromo sacrifice.